Daily dog walks are one life’s sweetest pleasures. 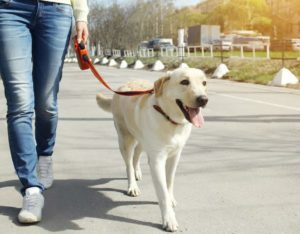 To make the most of daily dog walks, keep your dog on a loose leash and choose a route and pace that is comfortable for both you and your dog. 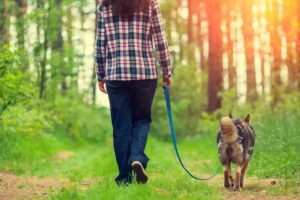 If you and your pup aren’t enjoying daily dog walks, check out our list of seven tips and consider making some changes. 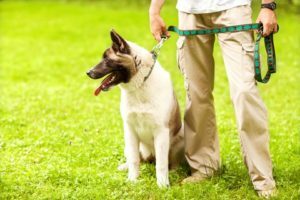 Train your dog to walk comfortably on the leash. If your dog pulls or if you end up dragging your dog, neither of you will enjoy daily dog walks. Choose a 6-foot leash. Although many dog trainers recommend using a leather leash, I’ve always used nylon leashes. Our current leash has Sydney’s name and my cell phone number on it (so does her collar). I figure it’s just one more way to help ensure she’d get home safely if we ever got separated. Whatever you do, do NOT use a retractable leash. 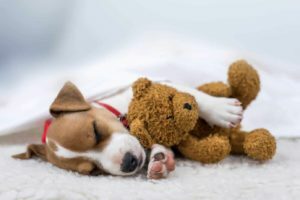 They don’t let you accurately control your dog and using them can be dangerous. 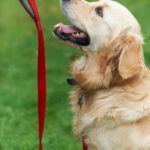 Thousands of people and dogs are injured each year due to retractable leashes. Keep the leash loose. Think of the leash like a telephone line to your dog. You use the leash to send messages to the dog. Be sure those messages are simple and clear. Remember your dog watches you for cues. If you are relaxed, your pup will be relaxed. To avoid potential neck injuries, consider using a harness rather than hooking the leash to your dog’s collar. With a previous dog, I had a complicated harness with a variety of straps and hooks. With Sydney, I use a soft cloth harness with a Velcro close. Slipping on and off is easy. When you take daily dog walks, you want your pup to feel comfortable and confident on the leash. 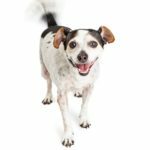 If your dog isn’t assured, stressful situations — such as off-leash dogs running toward them — can make the dog instinctively revert to a fight or flight mode and exhibit leash aggression. Tethering eliminates the option of flight, and that means the only means of survival is to stand their ground, which leads to leash aggression. 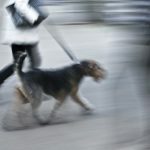 If you know your dog gets agitated when she sees off-leash dogs, don’t just pull up on the leash. Instead, consider moving with your dog off the path and put yourself between your dog and the other dog. With any luck, the dog’s owner is nearby and will be able to corral his dog quickly. To me, there’s nothing more annoying than someone who lets his dog run off leash and then tells me not to worry because the dog is friendly. Maybe your dog is friendly, but perhaps he’s not. It doesn’t matter because my dog gets nervous when an off-leash dog rushes her. That means I will do everything I can to keep the dogs separated and keep her safe. Remember your primary goal of daily dog walks is exercise. That means you can’t spend the whole time letting your dog dither around, sniffing every blade of grass and peeing on everything he sees. You need to take charge and lead the dog on a walk. What I’ve found works best for Sydney and me is to let her take a few minutes at the beginning of the walk to sniff around. As a bonus, she usually also takes her potty break then. That means I’m able to pick up after her and we can head out for an uninterrupted walk. If you’re walking on the street, be aware of cars and stay safe. If you’re on a trail with people on bikes or horses, practice good trail etiquette and keep your dog by your side. Don’t let your dog stretch out and hog the trail. Be courteous and let others pass. Some trainers will tell you it’s essential to keep your dog at your side at all times, to remind him that you are the one in charge. I never let my dog forget I’m the boss, but I also don’t keep her on a short leash at my side every second. Most of the time she sticks close to my left side. Occasionally she’ll walk in front of me, sometimes behind. A lot depends on what else is happening on the trail. We walk a variety of courses. It’s good for your dog to know your neighborhood. We also love to use a greenbelt trail in our suburban Denver neighborhood that links several parks and lets us walk a 3-mile loop of both dirt and paved paths that wind along a stream and past four small lakes. The trail gives us an opportunity to meet lots of other people (both with and without dogs), and we regularly see small wildlife — bunnies, squirrels, ducks and other birds. We also occasionally see deer, foxes and more rarely, coyotes. Walking in a nature area lets us get away from cars (we still have to be alert for the cyclists), and it keeps the walk interesting. My pup’s head is on a swivel, and she’s always looking around to make sure she doesn’t miss anything. 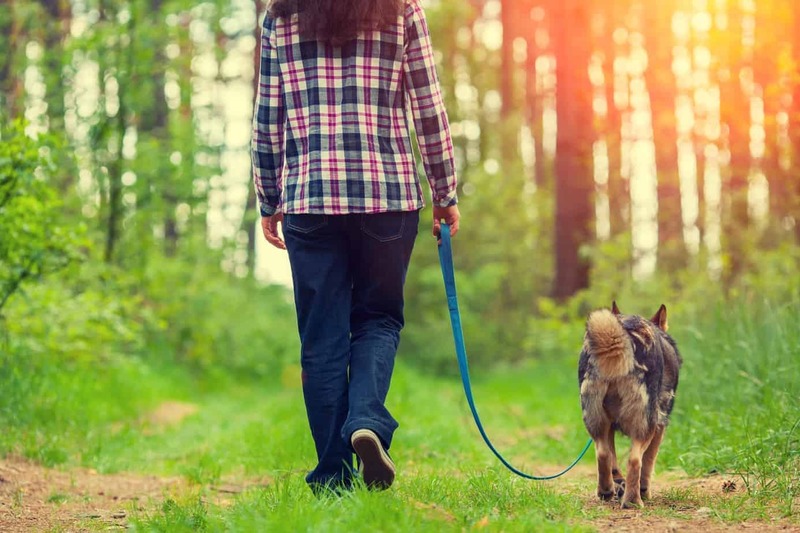 How often you walk is up to you, but most canines benefit from one or more daily dog walks. When Sydney was a puppy, I took her for four walks each day (morning, lunchtime, after work, before bed). Part of that was to help with potty training, but it was also because as a puppy she had short legs and limited stamina. And, like most puppies, she recharged quickly and needed lots of exercise. Now that she’s an adult, I know if I don’t get Sydney out for a daily walk (usually due to bad weather or my crazy work schedule), she’ll end up with the zoomies around 5-6 p.m. and will race around, running loops around the living room furniture working to burn off her excess energy. 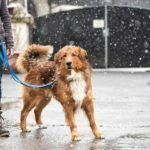 If you have trouble making the time to walk your dog, consider using a dog-walking service like Rover to find a reliable, trustworthy dog walker. Some days a long walk isn’t part of Sydney’s plan. If it’s too windy or rainy or if she’s showing her stubborn Corgi side, we’ll go a few blocks (or even a few houses), and she turns around ready to head home. Sometimes I can coax her into continuing the walk. Other times, she’s done. On those days, I know when to cut my losses. At 27 pounds she’s heavy enough and strong enough to make forcing her unbearable. But most days, she floats along. It’s almost like her paws don’t touch the ground. Her head, and tail are up and it’s obvious she’s having a blast. She looks like she’s smiling and we get tons of smiles in response from the people we meet. We also like to make our walks count for something. 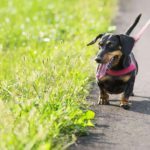 We use WoofTrax’s Walk for a Dog app. The free dog-walking app helps dog owners, their dogs, and animal shelters. For the user, the app makes it easy to track how far you walk with your dog — complete with interactive maps that track the walk. 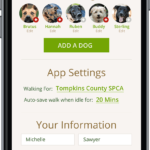 The dog-walking app also lets the user select a shelter to support. 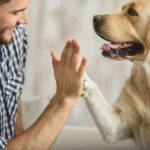 More than 6,000 shelters have signed up with WoofTrax, and the company donated $65,000 in 2014 to support them. Bottom line: Take daily dog walks. 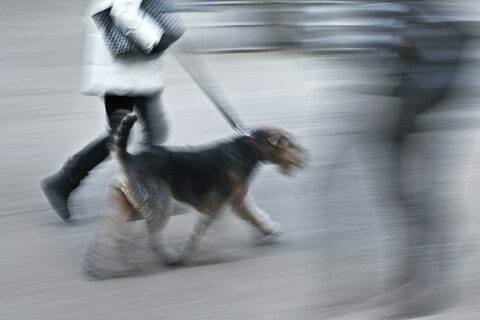 Pick a place that’s fun for both of you, set a reasonable pace and keep your dog on a loose leash.